Free stuff? Yes please! 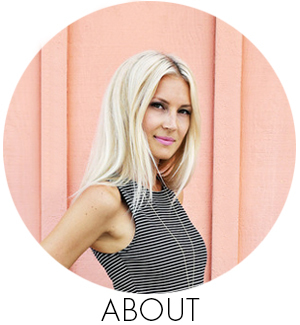 I’m super excited to announce that today I’m doing my very first giveaway on The Band Wife blog! You have been an amazing audience of readers so far in this blogging experiment, so I felt it was high time that you got something in return for your faithfulness. 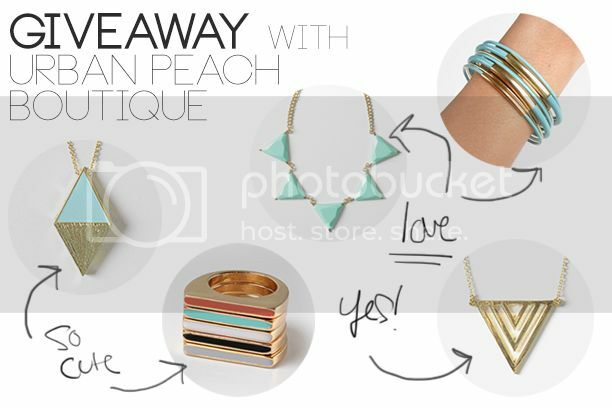 Urban Peach Boutique has tons of cute accessories, and they are giving away one necklace of the winner’s choice. 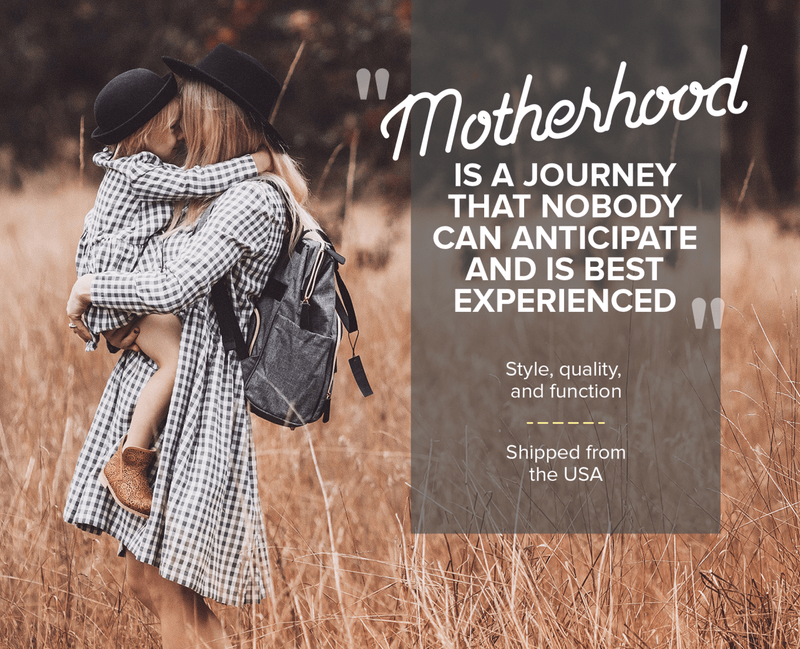 All you have to do to enter is visit their site, post a comment below naming your favorite accessory they carry (if you can choose just one, that is), and like Urban Peach Boutique on their Facebook page– that’s it! And, because you’re all winners in my book, you can use the promo code “BANDWIFE15” and receive 15% off your total purchase at Urban Peach Boutique. Hooray! The giveaway entry is open until July 19th and the winner will be contacted shortly after. What are you waiting for? Enter now! Categories: Giveaways | July 12, 2013 by thebandwifeblog. I love the rose gold Boyfriend Watch! I love the gold knot earrings and the cascade bubble necklaces! The turquoise jewel bib necklace is soooooooo beautiful! I love it so much!!! I can’t believe how awesome the pricing on these things are! Ohhhh it IS hard to choose! I love the turquoise chevron earrings and the turquoise and gold bangles! Loving the the black and white chevron earrings. (They would go with so much.) And the gem bracelets are too cute! I LOVE the silver arrow necklace! Everything is so adorable! I’m SCREAAAAMING, meanwhile all the boys on tour are staring at me like a looney because they don’t understand a girl and her jewelry. Especially when we’re all grungy and on the road. I definitely need the turquoise hinge honeycomb bangle…and the black one for good measure. aaaannnnnnnnd the lavender diamond pendent. I haven’t even started on the rings so I better end this comment here. I love the Arrow Pendant Necklace in silver. So simple but really cute. I can picture all the things I would wear with it! Just one? You’re right, that is tough. I’m thinking the Gold Arrow pendant necklace is the most “me” but I really do love it all! I LOVE the teal diamond and mint chevron necklaces! So cute! I love the Royal Blue Fancy Fan Necklace set!!!! Beautiful!!! The Orange Aztec Flower Necklace!! It looks like a necklace from J. Crew and a fraction of the price haha best! Thanks for sharing this company! i love the coral teardrop necklace! ZIG ZAG RINGS! I’m pretty obsessed with chevron print! This sight is awesome possum! I totally love the teal diamond pendant! I love the Gatsby pendant necklace. Thanks for the opportunity!!! I love the boyfriend watch! I think I NEED the coral triangle bib necklace!!! I love the gold triangle pendent necklace, so cute! I love the color block rings- so pretty! my favorite is the MINT BOHEMIAN BLOSSOM NECKLACE. Everything is so cute, it’s hard to decide! I need the yellow geometric bib necklace. NEED!! And any of those handbags. They’re all fab! WHITE BOHEMIAN BLOSSOM NECKLACE Love this!!! That Gatsby Pendant Necklace is so versatile! I mean, any season! And of course I liked them on facebook’! I love the Zig Zag Rings, so pretty!! I love the teal diamond pendant! Coral Triangle Bib Necklace is my favourite I think, I really like the triangle dipped earings too!! 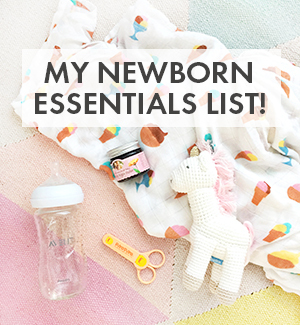 So much cute and also so affordable! So much cute! I’m going to go with the turquoise teardrop necklace set. You weren’t kidding when you said it would be hard to pick just one! But if I HAD to pick one thing, I’m going for the chevron bangle bracelets (I can’t resist anything chevron)! The turquoise cambridge clutch is so perfect! But if I had to choose a necklace, it would definitely be the gold triangle pendant necklace! Awesome giveaway, good luck everybody! I love the vintage brown murphy bag. Sooo nice. That teal diamond pendant is to die for! I like the Navy Aztec Flower Necklace! I love all their mustard colored stuff! Since I have to pick just one though, I’d pick the clear chunky crystal necklace. Ooo…I love the Coral Teardrop Necklace Set. Everything so is pretty! I love the Silver Triangle Pendant Necklace! All of their pieces are gorgeous. I love the Mint Chevron Necklace:) Such a cute shop! Love the Harper Ivory necklace! Oh wow, there is some seriously cute stuff in their store. I had never been on their site before! So many pretty colour palettes 😀 I’m loving the mint, coral and fuchsia tones. I love the Turquoise Triangle Bib Necklace – http://www.urbanpeachboutique.com/product/turquoise-triangle-bib-necklace !! I really love those blossom necklaces! Gosh, their stuff is so darling! I like the Mint chevron necklace, the TURQUOISE TRIANGLE BIB NECKLACE, the chevron bangles, and the turquoise studded bow bracelet. so many awesome pieces, but i love the coral pyramid bracelet the most! really, how can you pick just one?! i love anything mint colored so i’m obsessed with the mint dipped triangle earrings – they’d be such a perfect little punch of color! Love the navy daisy tessellate necklace and the rose gold boyfriend watch! This is super affordable and cuper cute! !